Paid surveys are well known for the small amounts they pay for your time. Thankfully there are plenty of things you can do to take control of your earnings and earn much more for your time. It is important to realise that this small guide is not about how to “cheat” survey companies for some fast cash. This will only lead to your account being suspended and potentially losing all of the money you have built up in your account. Instead there are plenty of things that you can do legitimately to speed up taking online surveys that won’t get you banned, and won’t lose you money. 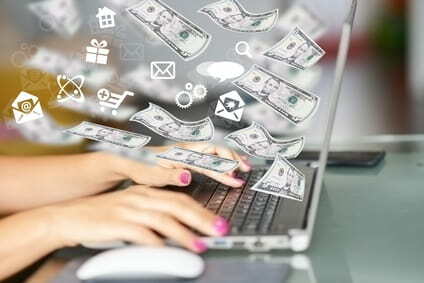 That is what we are going to focus on in this article, below you will find some of the things to avoid if you do not wish to lose your survey earnings through “cheating methods”. In fact there are dozens of tips & tricks that most survey takers don’t use that will help you to be much faster when completing surveys. That there is nothing wrong with being faster at completing paid surveys, but you must be aware of the mistakes to avoid. Always read the question properly – You must make sure to read each and every question properly otherwise you could find your points/earnings being revoked. Large companies are paying for your responses and rely on your opinions to shape the products and services of the future. Be consistent with your answers – One of the tricks that survey panels play to determine whether you are cheating or not is to change the order of questions or ask the same question in different ways. For example “Have you been on holiday this year”, “Yes”, then “How many times have you been on holiday this year”, “None”. It is obvious that you are either not reading the questions properly, or you are lying. Survey panels will also cross-reference your answers across multiple surveys to determine consistency so make sure that you stick to the same answers and don’t try to give them what you think they want to hear. Automated software – Automated survey taking tools should be avoided at all costs, they might be quicker in the short term, but survey companies have multiple methods of catching out cheats. Ultimately in the long run you will be caught out, probably banned and will lose all of the money in your account. You might be surprised to find that there is much more you can do to complete paid surveys faster than simply answering the questions more quickly. Few people make any serious money with paid surveys because they don’t realise the many ways they can speed up paid survey taking. Think about how you get the surveys in the first place, how you claim rewards and so on.. It remembers your passwords & personal information so you don’t have to. Roboform won’t complete surveys for you, but it will significantly speed up the time it takes to input your personal information each time you are given a new survey or new form to fill in. Furthermore Roboform makes it very easy to sign up to multiple survey panels. Essentially you can fill out any time of basic information with one click of the mouse! Be organized – One of the best things you can do to give you an advantage with paid surveys is to be organized. It might not seem that you will earn any more from it but in actual fact it’s one of the best things you can do. It will help you to complete surveys faster, help to avoid disappointment & help you to earn more money, in a shorter space of time. Set up email folders for each survey panel you join – This will help to ensure that you keep on top of new surveys from each panel. Log in each day to make sure you don’t miss new survey opportunities and don’t end up disqualified, very often there are extra opportunities that you will not be sent by email such as daily polls which may earn you more points, allowing you to reach your minimum payout amount much more quickly! Check for new survey invitations regularly – One of the most common reasons that people are disqualified from new surveys is because they get in too late, try to respond to survey initiations as soon as you receive them to avoid disappointment. Improve your touch typing – In relation to the above point, all you can really do is keep practicing, often in paid surveys you will be offered a comment box to write your opinion. Improving your touch typing will help you to complete this faster. Only take higher-paying surveys – Each survey that you are invited to, depending on the survey panel, can pay very different amounts. Try only completing the highest paying surveys that offer the amount of money you would expect. You may even wish to track and compare your earnings across multiple survey sites to help you find out which survey site pays you the most. (Remember that individuals can have very different results with the same survey panel, it really depends on your characteristics and the types of surveys that your interests match). Set up email notifications – You can definitely speed up your earnings by making sure that you receive all opportunities as soon as they become available. Make sure to check the settings/your profile on each survey panel you join to set up your preferences for email notifications. Seek payments by PayPal – Always try to request payments via PayPal over alternative methods such as checks which take much longer to process. PayPal is secure, convenient and most survey panels accept it. If you don’t yet have a PayPal account now is the time to get one! We all want to get to the cash as quickly as possible, but if you are in paid surveys to make a quick buck without putting in any effort, then you’re in the wrong place. Survey companies want to reward their best respondents, for them it’s not about “how quick” you can complete a survey, but the level of quality that you give in your individual responses. The truth of the matter is there is no such thing as a “get rich quick” scheme online, and the sooner that people realize that, the quicker they will start making some real money. What you can do however is speed the process alone and takes steps to making it quicker than it otherwise would.